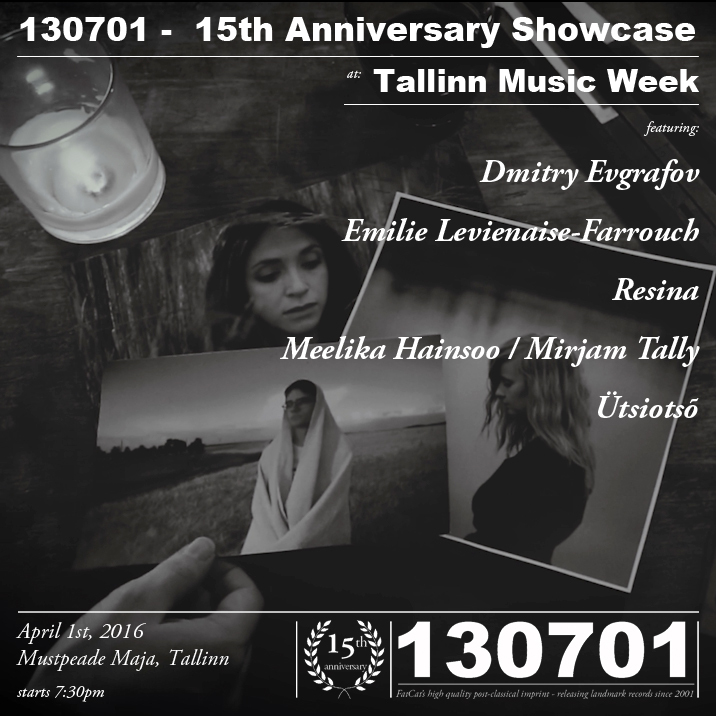 We are pleased to announce that we are hosting a showcase at Tallinn Music Week in Estonia’s beautiful capital city in April. The showcase takes place within the stunning medieval building, Mustpeade Maja on Friday 1st April. 130701’s David Howell has curated a room within the venue, featuring three of our newest / youngest acts, Russian pianist / composer Dmitry Evgrafov, French pianist / composer Emilie Levienaise-Farrouch and Polish cellist Resina. The bill is completed with two local acts, the striking Ütsiotsõ (a choral quartet singing lesser-known Southern-Estonian folk songs and songs from Siberian Seto villages) and a collaboration between Estonian folk singer Meelika Hainsoo and Swedish / Estonia composer Mirjam Tally, who will perform Estonian folksongs with electroacoustic arrangement.